One of my favorite things about owning a Lancaster County Bed and Breakfast is the shear variety of unique and fun events we have going on, pretty much ALL the time! Case in point: Lancaster County is playing host to the The Second Annual $5000 Beard Team USA National Beard and Moustache Championships on October 8, 2011 at the Clipper Magazine Stadium, in Lancaster, Pennsylvania, just 12 miles from the Historic Smithton Inn!!! Competition will take place in five categories, including moustache, partial beard, full beard groomed, full beard natural, and freestyle. A total of $5000 ($1000 per category) in cash will be awarded to the winners, with the first place winners taking home $600 each, second best $300, and third place $100. Lancaster is well known for its Amish community that has been growing beards for America in the surrounding area for nearly 300 years. Participants in the Nationals will have a unique chance to experience Amish culture as part of the Nationals Weekend. The entry fee for contestants will be $40. Admission for spectators will be $10. 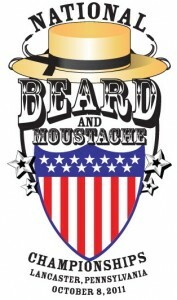 If you think this will be as fun as I do, visit www.beardteamusa.org/nationals for more information!